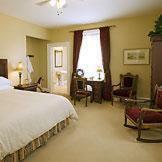 Lock in a great price for DesBarres Manor Inn – rated 8.9 by recent guests! Beautiful house and very friendly staff. Food was great. Bed was comfortable. Food great. Staff helpful. Inn is appointed beautifully. Beautiful restored home originally built in 1837. 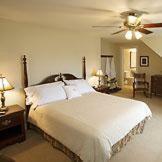 The rooms are spacious and the beds comfortable. The staff is courteous and helpful. The grounds are well maintained with lovely plants and ample shade trees. Breakfast was perfect as was the room! Staff was very accommodating. 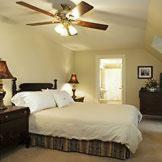 This is an older building but it was roomy, new beds, and immaculately clean. I would stay here again. Beautiful large rooms decorated with antiques in a heritage house. Quiet location. Enjoyed the intimate onsite dining room with an upscale menu. Great friendly service. Neighborhood has many interesting historical homes. In a scenic area of Nova Scotia. Spacious room and bathroom, comfortable bed and excellent breakfast. The staff were great! The bed and bed linens were the most comfortable of any hotel I've stayed in. Gorgeous antiques as well. DesBarres Manor Inn This rating is a reflection of how the property compares to the industry standard when it comes to price, facilities and services available. It's based on a self-evaluation by the property. Use this rating to help choose your stay! Nestled in the quaint seaside village of Guysborough, Nova Scotia and moments from Chedabucto Bay, this historic luxury hotel offers exceptional service and unrivaled accommodations, in a beautiful natural environment. 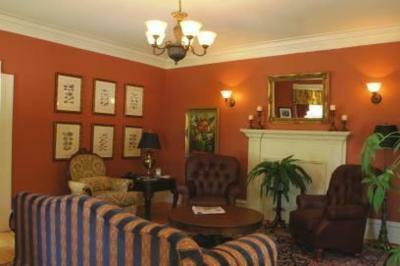 DesBarres Manor Inn provides guests with everything needed for a relaxing and memorable stay. Enjoy complimentary afternoon tea before taking a private on-site yoga class, or plan the next day's activities with help from the dedicated and knowledgeable staff. Only moments from the DesBarres are many popular area attractions and recreational activities. Guests can enjoy tours of the historic downtown area, fishing, hiking and beautiful beaches, all only moments from the hotel. This property also has one of the top-rated locations in Guysborough! Guests are happier about it compared to other properties in the area. This property is also rated for the best value in Guysborough! Guests are getting more for their money when compared to other properties in this city. 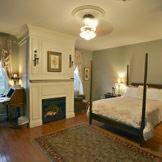 When would you like to stay at DesBarres Manor Inn? 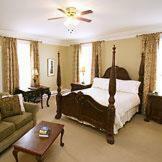 This room contains a king-size bed, electric fireplace and an over-sized, two-person soaker tub. 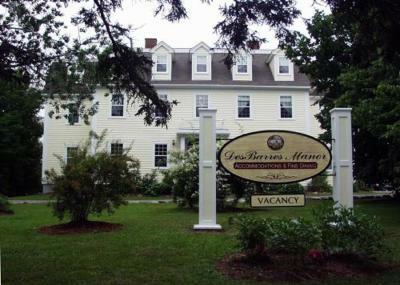 House Rules DesBarres Manor Inn takes special requests – add in the next step! DesBarres Manor Inn accepts these cards and reserves the right to temporarily hold an amount prior to arrival. Please note, the dining room is open daily from April 20 to October 30 and the available seating times are 18:00 and 18:30 (reservations are required). In the off season, guests should contact the property directly to see if the dining room is open. Please note there will no dining available from November 1, 2015 until May 1, 2016. No coffee maker in our room. We had to wait until we showered and dressed to go downstairs. Would have liked a few more options for breakfast which was a basic home-style meal of scrambled eggs and bacon, cereal and a sweet bun. There was absolutely no water pressure. When showering the water would disappear altogether at times. The wifi was very poor. It kept dropping out all the time & wasn't strong enough to search info about the area. The rooms were very large. The staff were cheerful & helpful. The price of the wine. $148.00 for a bottle of mediocre Pinot Noir was far too much. A beautiful old manor house which has been restored to a high standard and still retains the old world character. Room was very spacious and comfortable. 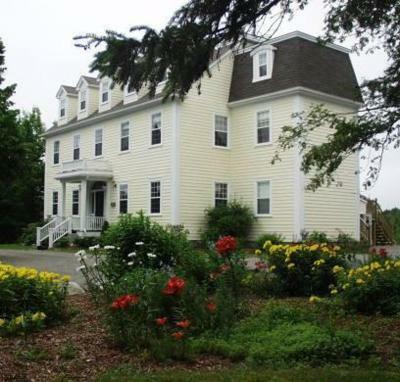 The property is located in the middle of Guysborough, a very pretty village retaining many original buildings built in the colonial style. Breakfast was more than adequate and the bacon was cooked to perfection. Dinner was delightful - the best pork loin I've had in ages. The staff were so nice and could not have been more helpful. Breakfast could have been a little more variable. Room was upgraded as a result of early arrival. Victorian atmosphere was outstanding. Staff were extremely courteous. Setting was very beautiful.